Featuring one and two bedroom apartments in a quiet gated community. One of the many perks to living at Willow Creek Apartments. 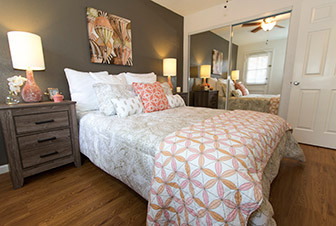 Offering 840 square feet of relaxed apartment living. Private balcony accessible from both of the size-able bedrooms. Spacious one bedroom apartment homes, each with a private entrance, are clustered in a tree-filled setting around a beautifully landscaped courtyard. 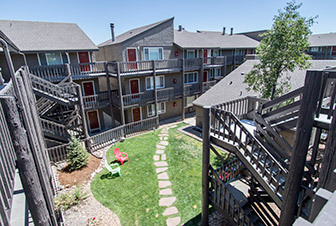 Willow Creek Apartments provides a veritable oasis in the city. 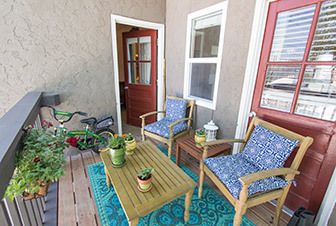 Located in the City of Glendale, a premier location in the heart of Denver, our residents enjoy upgraded apartments at affordable prices in a quiet gated community. Our staff is dedicated to our residents and aims to provide a superior living experience. Infinity Park and Sports Center with it's state-of-the-art fitness center is located directly across the street. Grocery stores, shopping, parks, recreation and entertainment are within blocks. Public transportation is just outside our gates. I-25, The Cherry Creek Mall, Downtown, LoDo, The DTC, The University of Colorado at Denver, DU, Regis and Metro are all close. Read what present and past tenants think of Willow Creek. Willow Creek is within walking distance of Infinity Park, King Soopers, Target, Whole Foods, Starbucks as well as City Set with many new and vibrant places to eat. Infinity Park at Glendale is located right across the street from the apartments. There's an RTD bus stop located directly across the street from the property. More information on routes and schedules available here.